You are here: Home / Volunteers / Volunteers Needed! Southern Tropics Pickleball Tournament Series are run to raise funds for Pickleball For All a 501 (c)(3). Through your help and support Pickleball For All donates equipment to those in need to promote a healthy lifestyle. We have just started a new program which is Pickleball For All Veterans. We are looking for volunteers to help with upcoming tournaments at East Naples Community Park. Click on the Southern Tropics link at the bottom of the page to be directed to the sign up form. Choose your hours and days that you would like to support Pickleball For All through volunteering at these events. 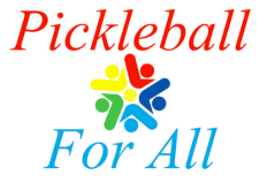 https://www.pickleballforall.org/wp-content/uploads/2018/06/image001-1.png 0 0 admin https://www.pickleballforall.org/wp-content/uploads/2018/06/image001-1.png admin2016-11-25 19:18:482016-11-25 19:18:48Volunteers Needed!